For over 65 years One Drop Only has been a byword for effective oral care. We are offering health conscious customers highly effective oral and dental care products, which are preferably produced from natural ingredients. 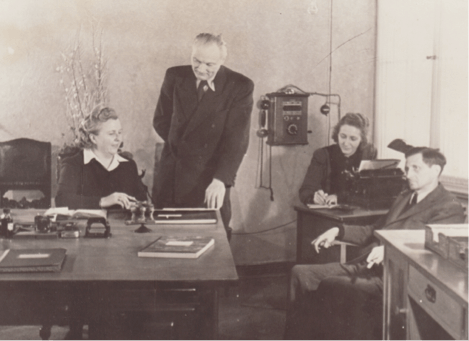 The businessman Otto Müller founds the chemical factory OTTO MÜLLER GmbH & Co. in Berlin-Charlottenburg to manufacture pharmaceuticals and cosmetics. 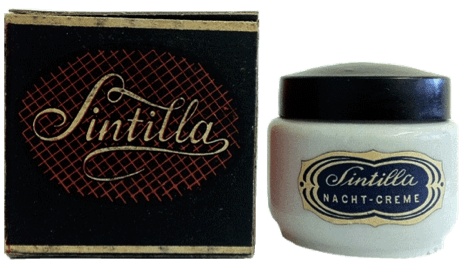 The Sintilla range of cosmetics is soon well known all over Germany. 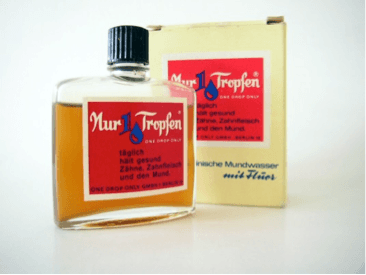 Otto Müller and his Scottish son-in-law John Rorison hit upon the idea of manufacturing a medicinal mouthwash to be called Rorison’s Drop. On the advice of an American military governor, the new product is named One Drop Only. Otto Müller himself creates the unique red and blue logo. Müller and Rorison found the One Drop Only Chem.-pharm. Vertriebs-GmbH. After completion of the research and development work and extensive studies, the One Drop Only Mouthwash Concentrate is launched onto the market. Both companies found a common headquarters at the new site at Stieffring in Berlin. After almost 38 years, the portfolio is extended by a new product: The practical mouth spray is introduced to the market. The export activities are extended largely, such that the One Drop Only® products are now available in more than 20 countries worldwide. 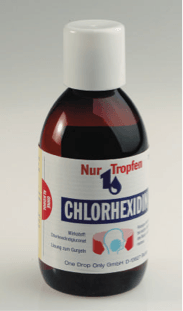 More product introductions follow, such as mouthwash, chlorhexidine and mint pastilles. Product innovation: The tongue cleaner – an innovation in the dental and oral care area after an invention by the Norwegian dentist Dr.Olav Moelster. 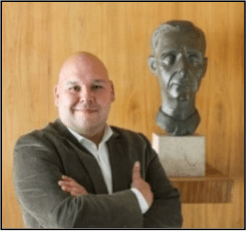 One Drop Only GmbH is a traditional family-owned business once again: Roberto D‘Amati, the great-grandson of the company founder Otto Müller takes over the management. Packaging relaunch: in order to win the younger gerneration as our clients we trust in a young, fresh and attractive Design. Yellow turns blue. 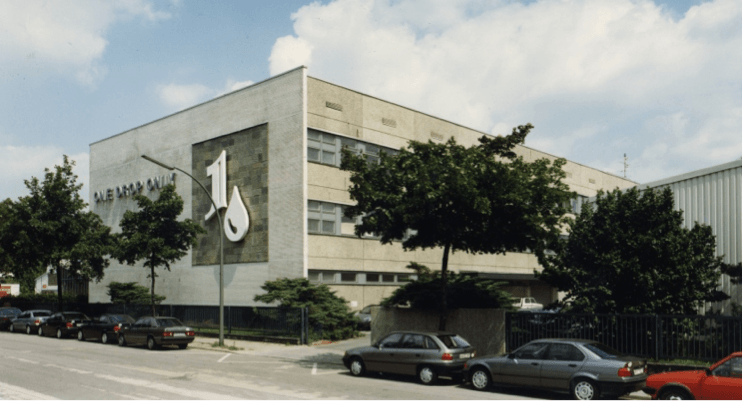 The One Drop Only GmbH takes over the brand halazon – a traditional brand that was founded 1964. The appearance of the brand is undergoing a complete makeover and new products are being launched to the market. The brands One Drop Only® PHARMACIA and One Drop Only® Naturals are added to our portfolio.